GIFs are everywhere. On the social media, blog posts, forums, chat apps. Mostly, animated GIFs appearing on the mentioned platforms are for a fun purpose. But, there are also some GIFs intended to a more “serious” purpose. Like a short screencast to demonstrate certain feature of a web app and so on. You might be wondering, is there a way to convert an MP4 file to GIF in Linux? Yes there is. There are probably a bunch of tools you can use to do so. One of which that deserves a try is Gifcurry. 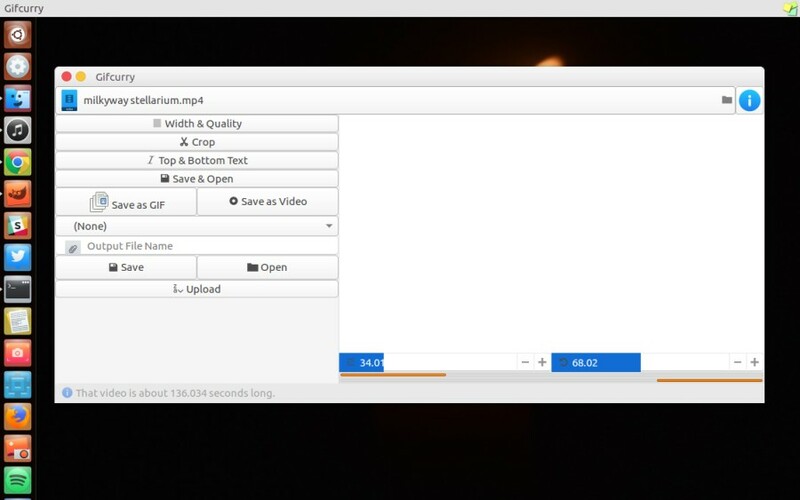 Not just MP4, Gifcurry can also be used to convert a wide range of video formats to GIF. Interestingly, it also allows you to directly upload the converted GIF to popular GIF sharing website, Giphy. Here is how to use the tool to convert an MP4 file to GIF. Gifcurry is an open source software. This app is available in a wide range of packages, including snap and AppImage. Gifcurry itself is available in two versions: CLI-based and GUI-based. In this example, I am going to use the portable version of Gifcurry (GUI-based) by using the AppImage. In case you didn’t know. AppImage is a format to distribute portable software on Linux. You don’t need a superuser permission (root) to install this package. You can download the AppImage package of Gifcurry on its GitHub page. Or simply click this link. 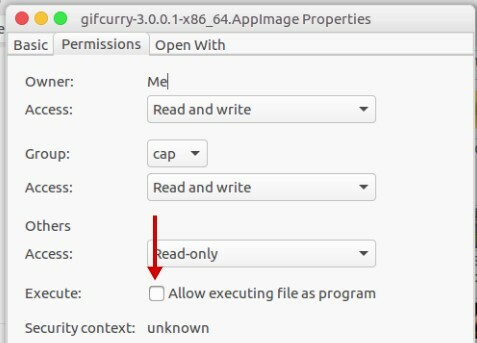 Once the AppImage of Gifcurry is downloaded, you need to set its permission to make it executable. To do so, right-click the package and select Properties. On the Permission tab, check the Execute section. Double-click the package to run it on your Linux system. 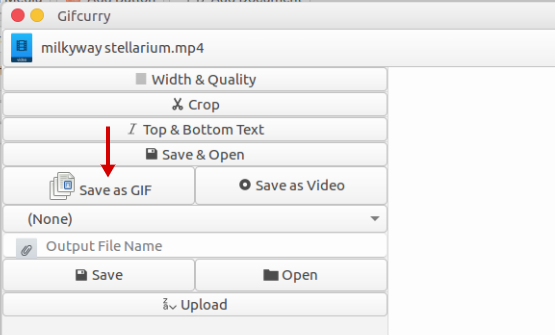 Once the app of Gifcurry is open, you can select the MP4 file you want to convert to an animated GIF by clicking file selector (top-most). Once the video is loaded to Gifcurry, you can set the start-finish of the part of video you want to convert to GIF by cropping it. You can also set quality of the GIF. Once you are done with the settings, you can click the Save & Open button and select Save as GIF to save the converted GIF to your computer. But first, give your file a name. Or, you can also click the Upload button to directly upload the converted GIF to Giphy or Imgur. The conversion process might can take some time, depending on your computer specs as well as the video length.